This is a favorite small early spring perennial with solitary, bright yellow, up-facing flowers, from European woodlands. It spreads by seed readily in gardens, and strays to woodlands in and near towns and cities in Michigan; first collected by A. A. Reznicek in Saline (Washtenaw Co.) in 2013. 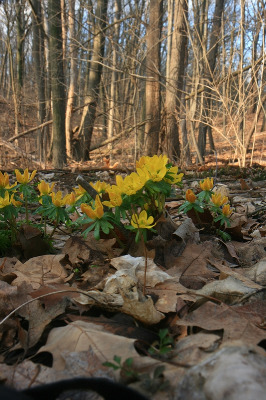 Eranthis blooms very early, mid-to late March and into early April in southern Michigan, and is probably somewhat overlooked, as few botanists are in the field at this time. MICHIGAN FLORA ONLINE. A. A. Reznicek, E. G. Voss, & B. S. Walters. February 2011. University of Michigan. Web. 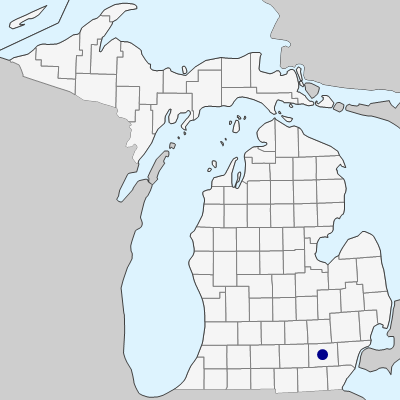 April 21, 2019. https://michiganflora.net/species.aspx?id=2901.